– Discomfort with contact lenses. – Tearing, as the eye to irritation causes a secretion reflects. -Can be produced by dysfunction or destruction of the tear glands, as a result of another disease that leads to this nuisance, or personal and external factors. -Especially in women dry eye is also caused by hormonal reasons related to menopause. After age 40 women are more prone to this discomfort. – The environment affects strongly to feel this discomfort. Blanks with too much heat or cooled; enclosed space; cigarette smoke; smog; dry weather; areas much sun or windy, and environmental pollution are harmful conditions that impair the quality of our tears. – Taking certain medications also produces dry eye, there are drugs that decrease the body’s natural ability to produce tears. Eg. decongestants, antihistamines, tranquilizers, antidepressants, sleeping pills, birth control and diuretics. – Other reasons: prolonged use of contact lenses. – The picture may also be the result of either partner, as lupus, rheumatoid arthritis, Sjögren syndrome, rosacea or blepharitis, or anatomic abnormalities of the eyelids facial palsy or traumatic disease senile. Ophthalmologist through a specific examination may make a correct diagnosis and indicate the appropriate treatment for each individual case. In case of suspicion of an associated disease, will make a consultation with other specialists such as rheumatologists or dermatologists for accuracy. 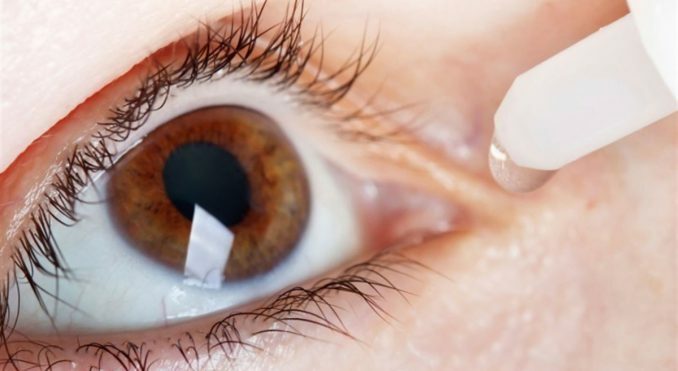 – Artificial tears eye drops, gel or ointment. – Silicone plugs (Punctum Plug) occluding the puncta in the most severe cases. – Surgery if the condition is very serious. Health is essential to prevent diseases in the most natural way possible and it is very important for good nutrition, hygiene care and avoid harmful environments. A healthy diet consists of a balanced diet that includes cold water fish like salmon or sardines blue waters; rich in vegetables, especially dark green; vegetables and fruits, provides minerals, antioxidants and vitamins A, E and C. It will also give the body Omega 3 and 6 fatty acids are unsaturated, essential components for the proper functioning of the glands and tear quality. It is also important to check the quality and quantity of make-up, creams and cosmetics that are used on the eyelids; and especially, I take it off before the break. If you work long hours at his gaze on a fixed point in front of the computer or other screen; if we drive or read, it is advisable to take frequent breaks, or small breaks to change the focusing distance; blinking or simply close your eyes for a few minutes. Use the glasses with ultraviolet protection factor (400% UV) especially sunny days is recommended. Avoid the most closed, very heated or smoke-laden places.